Bing Crosby had giant ears. Now we know. But he sang like an angel. Mr. Fix re: "9-11 inside job" VT article . . . Thanks for posting it. I was looking for it to use on MS today, but was in a hurry. There is some conjecture that the power elite who ran the nuclear black ops on 9-11 (Cheney, et al) and those who knew of it (many powerful people) are now hell-bent to get a war started before they are charged with treason, murder, fraud, etc., etc. The current powers that be are being widely exposed for their criminality across the board, and at this point, I think if they do succeed in creating a war, it is highly likely that all guns will be aimed back at them. As both the $ and their credibility continues to crumble, they are going to experience mass defections. Some of us might come out of this okay! Human beings are part of the web of life here on earth (not Draco). We are related to all life to one degree or another, and that includes reptiles who arrived much earlier than we did. Beings from another planet would have taken an entirely separate evolutionary path. We share genes with planaria and fruit flies as well as gophers and wombats and yes, even Kimodo dragons. Nothing from the planet Draco. sorry. You're taking this way too seriously, that's why the post was entitled “this is fun”. The explanations of “the Lizzy people”, as told by Chris are way too long, and would not interest you anyway. More relevant, they don't interest me either. It appears to me that Russia has lots of whistleblowers helping them expose the bad guys. And by the way, remember when we were called all sorts of bad stuff; intolerant; disruptive; conspiracy theorists, trolls, those crazy DOTS people; for saying 9/11 was an inside job? Who'da thunk? Dave Hodges: Paul Watson’s recent report accurately portrays 50% of the operational functioning of what is presently being referred to as “phony cell towers”. Watson is correct in that these “phony towers” are indeed stealing data from your electronic devices. However, Watson’s depiction of the phony cell phone towers only represents half of the picture. On the other side of the coin, these towers are part of a mind control apparatus. The main threat to humanity lies in the fact that the technology exists to control all of human behavior at one time. A reasonable person would certainly ask “how is that possible?” To answer that question, I refer the readers to Nick Begich’s website in which he details how mass electrical signals can beamed up from an array of antenna and bounced off the ionosphere in either a narrow beam covering a specific and defined geographic area, or it can be reflected back to earth in a broad beam application in which millions could be impacted by one electrical signal designed to change human behavior. We know this technology as Project HAARP. September 2014 – AFRICA – Sometimes the artifice of writing — metaphors, historical comparisons, the just-so quote — fails. The Ebola outbreak in West Africa demands directness: We are about to witness a human catastrophe that could destroy large portions of a continent and pose a global threat. And the response of the world, including the United States, is feeble, irresponsible and disrespectful of nature’s lethal perils. American health officials and nonprofit groups are bringing back the same report from the region. In Liberia, the rate of new infections has probably already moved from a linear to an exponential curve. The same may be true within the next week or so for Sierra Leone and Guinea. The normal countermeasures for an infectious disease — isolation, case investigation, contact tracing — are increasingly irrelevant given the rate of increase. Local health care infrastructure, which barely existed in the first place, is overwhelmed. People have lost faith in the large clinics, where 50 percent to 60 percent of patients who enter do not leave alive. And those in need of emergency care for other conditions — such as heart attacks or complicated births — are often frightened of clinics and hospitals, and are dying without treatment. The international respo nse is inadequate and disorganized. The World Health Organization (WHO) and the United Nations provide “road maps.” But, according to one infectious disease expert, “there is no one to implement command, control and communications. No one.” Multiple, uncoordinated organizations are attempting to confront a disease that is out of control. “They are quibbling over 25 to 30 bed units,” the expert vents. Meanwhile, WHO has revised its prediction of new Ebola infections upward to 20,000 by year-end. Other models indicate more like 100,000. Once the growth of an outbreak becomes exponential, the tools normally at the disposal of health officials have limited value. It may require military airlifts just to deliver sufficient rubber gloves, aprons, soap and buckets to highly affected areas. Doctors Without Borders is calling for the deployment of civilian and military medical teams to provide triage centers, field hospitals with isolation wards, mobile diagnostic labs and systems for the management of corpses. But who will direct and implement such an effort? WHO is not an emergency response organization; it is known mainly for bureaucracy and infighting. The United Nations has no epidemic response force comparable to its peacekeeping operations (though perhaps it should). It is hard to imagine a coordinated effort on a sufficient scale that is not organized by America. If Ebola Arrives In U.S., What Happens? Dr. Daniel Lucey, an expert on viral outbreaks and an adjunct professor at Georgetown University Medical Center, recently spent three weeks in Sierra Leone, one of the countries affected by theEbola outbreak. While there, Lucey evaluated and treated Ebola patients, and trained other doctors and nurses on how to use protective equipment. The current Ebola outbreak, which is mainly in Guinea, Sierra Leone and Liberia, has so far killed at least 1,552 of the more than 3,000 people infected, making it the largest and deadliest Ebola outbreak in history. It is also the first outbreak to spread from rural areas to cities. Strategies that have worked in the past to stop Ebola outbreaks in rural areas may not, by themselves, be enough to halt this outbreak, Lucey said. How Does Ebola Kill People? 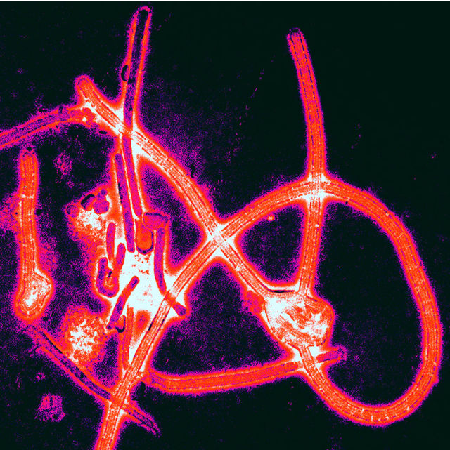 How exactly does the Ebola virus take human lives, as it has done to horrific effect in West African nations? In addition, without vaccines or drugs for Ebola, "I'm not confident we will be able to stop it," Lucey said. There are a few studies ofEbola treatments and prevention methods under way, but more research is needed to show whether they are safe and effective against the disease. One strategy that could help with the current outbreak is to implement public health "command centers" whose job it is to make sure that tools and equipment sent to the affected regions are properly distributed to places that need them, Lucey said. When Lucey was in Sierra Leone, protective equipment for health care workers made its way to the capital city, but not to the hospital where he was working, he said. "We did not have gloves that I felt safe with," Lucey said, noting that the gloves would tear easily. "We didn't have face shields. We had goggles that had been washed so many times you couldn't see through them," Lucey said. How Can Ebola Be Stopped? Another important factor in stemming the outbreak will be community engagement and education to help people in the region understand the behaviors that spread the disease, said Dr. Marty Cetron, director of Global Migration and Quarantine at the Centers for Disease Control and Prevention. It is also important to understand the culture of an area so that control strategies are culturally acceptable, Cetron said. This large Ebola outbreak could have been prevented with an effective public health response at the beginning, said Lawrence Gostin, director of the O'Neill Institute for National and Global Health Law at Georgetown University. But the weak health systems of the affected countries left them unprepared to respond to the outbreak, Gostin said. The international community should have been more generous in supporting poorer countries so they could develop the response capacities needed to contain the outbreak, Gostin and colleagues wrote in a recent briefing for the O'Neill Institute. To help with the current outbreak, and prevent future ones, Gostin called for the establishment of an international "health systems fund," which would be supported by high-resource countries. The money would be used to strengthen the health systems in those countries, he said. "We want to avoid leaving these countries in the same kind of fragile health condition" that they are in now, and that is being worsened, Gostin said.